Vintage Virginia Apples was founded in 2000 by the Shelton family. 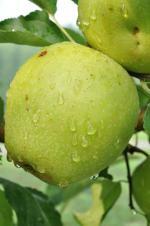 In our orchard, we grow a variety of tree fruits that are becoming increasingly rare. Many of these are older varieties that have fallen into obscurity or just do not fit the needs of today’s commercial marketing and distribution systems. Cast aside in the search for perfectly saleable, shippable and storable fruit are hundreds of heirloom and local varieties, a vibrant universe of texture, flavor and scent. We began by planting a small array of interesting apples, which has grown now to more than 200 different cultivars, both heirloom and more recent varieties. We have also experimented with growing a variety of other fruits including peaches, pears and plums. Our nursery has grown from this love of vintage varieties, which we aim to share with like-minded orchardists by offering over 100 varieties of fruit trees from our collection through our fall/winter catalog which we post online each fall. Many of these varieties are virtually unobtainable elsewhere. Our catalog is online and we accept orders when the trees are dormant and best suited for shipping and planting (Dec-Mar). Our workshops have been well received and we are looking forward to expanding our offerings in years to come. 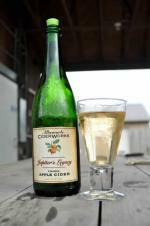 In season, we sell apples and fresh cider at the farm. Our most ambitious project is Albemarle CiderWorks, which we opened in July 2009. The first year, we fermented and bottled three distinctive ciders which were very well received: Jupiter's Legacy and Ragged Mountain comprised our blended offerings, and Royal Pippin became our first single varietal. Since then, we have introduce other single varietals and blends including our first "Special Reserve," Virginia Hewe's Crab, a small batch that quickly sold out. We plan to continue finding inspiration from the 2500 varieties of apples found in the United States. We currently offer tastings of our distinctive ciders at our Tasting Room in North Garden, VA. Plan to visit us! We look forward to welcoming you to Rural Ridge Orchard for a tasting, a workshop or one of our events. Click here for directions to our location.